Visiting sailboats at the bay of the Ilhas Desertas Nature Reserve, the islands are uninhabited. in the Madeira Islands Archipelago, Macaronesia. 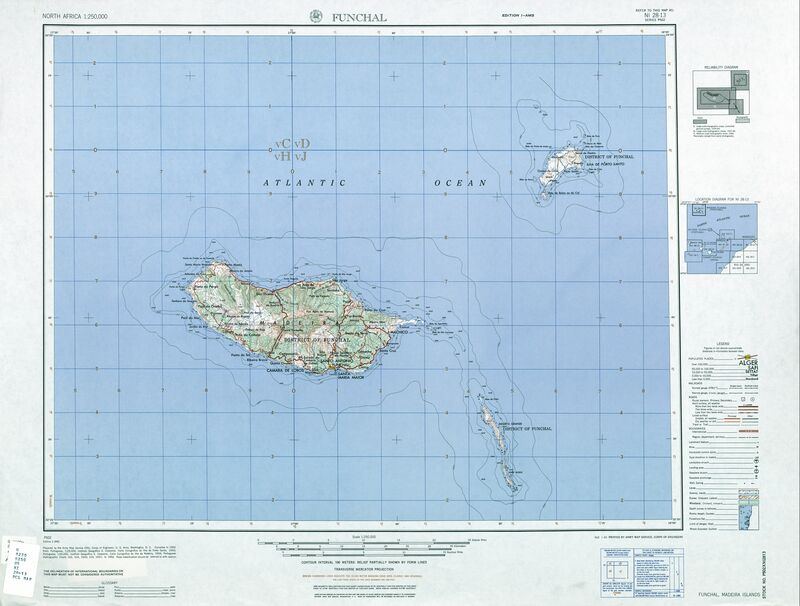 The Desertas Islands (Portuguese: Ilhas Desertas, IPA: [ˈiʎɐʒ ðɨˈzɛɾtɐʃ], "Deserted Islands") are a small archipelago, in the Macaronesia region of the Atlantic Ocean. They are within the Portuguese Autonomous Region of Madeira, and part of the larger Madeira Archipelago. The archipelago is located off the coast of Morocco. Deserta Grande Island is located about 25 kilometres (16 mi) southeast of the eastern tip of Madeira Island, Ponta de São Lourenço. Administratively, the islands are part of the Municipality of Santa Cruz in Madeira, and in the Santa Cruz civil parish. The islands are a designated Portuguese nature reserve. A licence is needed to land there. Though close to the main island of Madeira, where the islands can often be seen on the horizon, the geology of the Ilhas Desertas is starkly different. The high, long, and rocky islands of the group are barren of topsoil, and the only wildlife consists of about sixteen species of birds, including eight species of seabirds, and a scarce population of feral goats, rabbits, and rodents, brought from Portugal by the mariners who first touched the rocky shores. The Deserta Grande wolf spider and Madeiran wall lizard also exist in the fragile and arid ecosystem. The only inhabitable island, with its own water source, is Deserta Grande. This water is however murky and scarce, and all historical attempts to colonise the island failed due to the impracticability of communal agriculture. A tiny colony of Mediterranean monk seals inhabit the beaches, and since 1990 the islands have been constituted as a nature reserve for their protection. Although in 1998 the colony numbered only eight, now, the population numbers approximately forty seals. The only human presence is the permanent wardens, geologists, occasional boaters, and the few research stations on the islands. This page was last edited on 24 March 2019, at 17:25 (UTC).